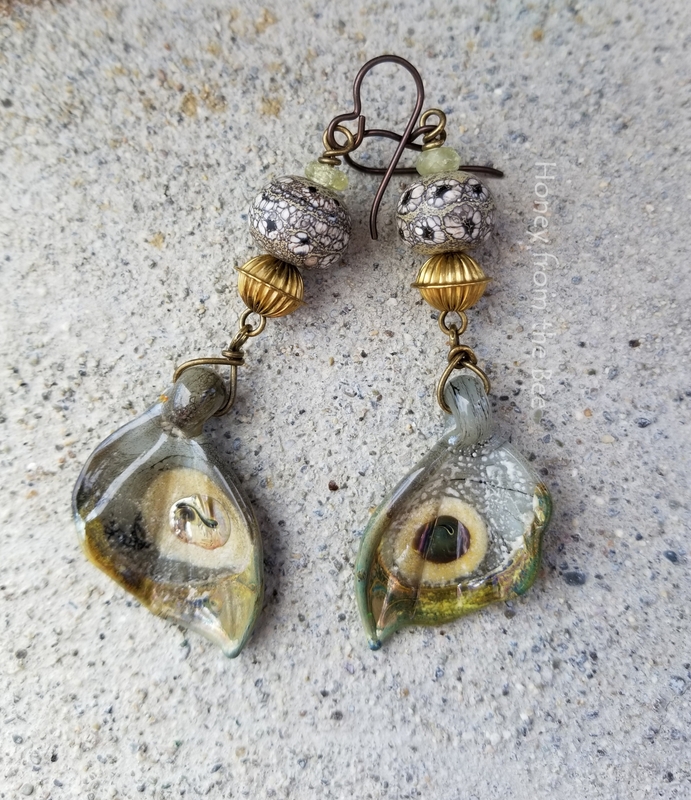 A lampwork artist, Kim Snider, uses butterflies and moths as muses and I've collected a few of her amazing art glass wings. 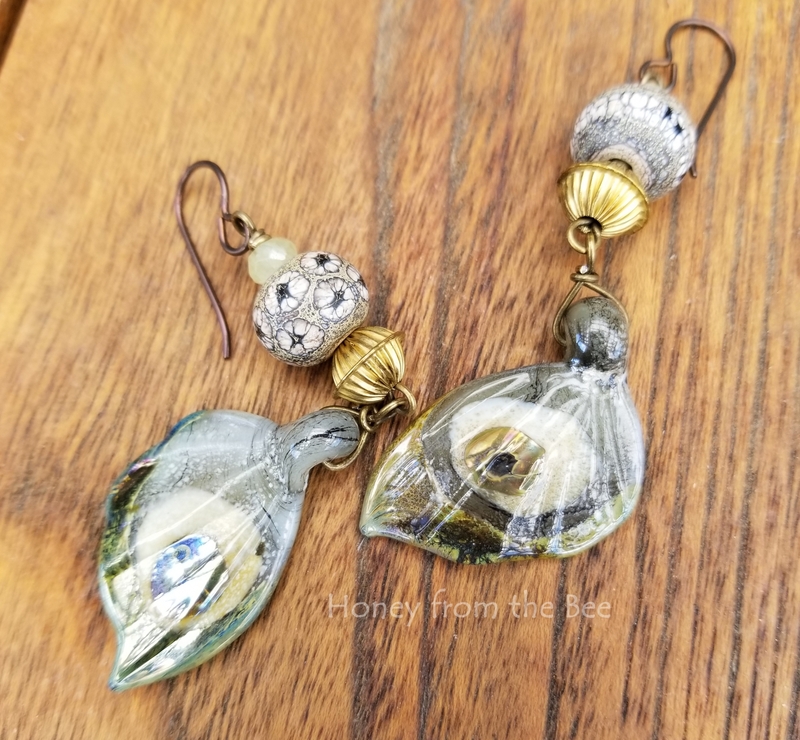 This pair she fumed with gold which gave these a golden, maybe more bronze, shimmer. 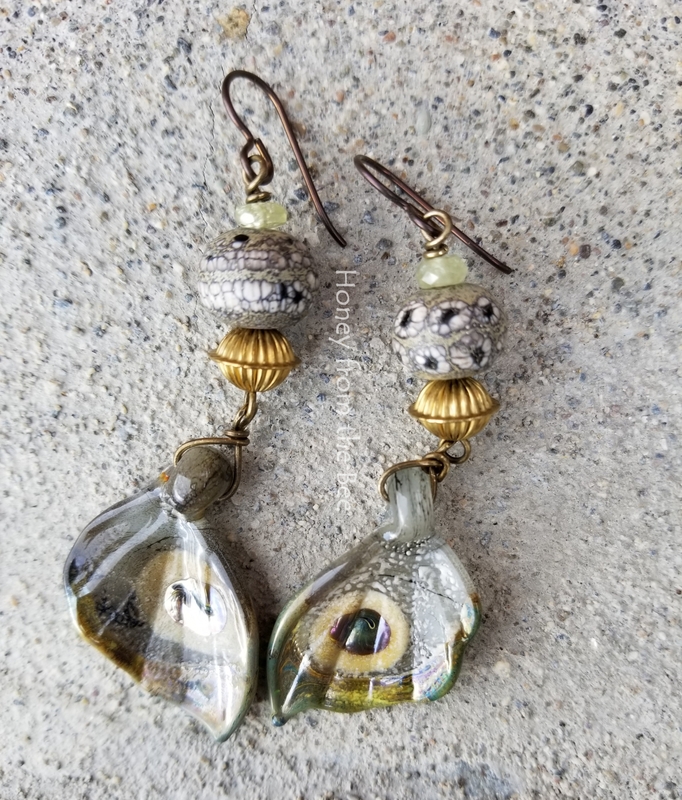 Another lampwork artist, Mona Sullivan, created the beads above the vintage brass ones. I've topped them with faceted green garnet. 2.75" from the top of the earwire to the bottom of the wing. Wear these with that little black dress or black top in the evening and you're going to be the Queen of the Night.